Mobile casinos have been around for some time and there is no sign of turning back. They will still be popular in the future because we love convenience. We want to rest on the couch, place an iPad on the knees, spin the reels, and win huge prizes. The earliest mobile casinos reviews were completely different from the modern-day mobile casinos. A good example is the black-and-white Nokia Snake game. Phone users could download such WAP games, ringtones, and wallpapers. In addition, gamblers did not use real money until the inception of 3G devices such as Android phones and iPhones. Things started to change in 2007 with the launch of innovative online slots that run on smartphones and tablets. Today, players can join mobile casinos and download casino apps and play different types of slots. You can now play online slots developed by popular providers such as NetEnt, NextGen Gaming, Play’n GO, and iSoftBet. These companies produce progressive, multi-payline, and classic slots. Your favorite casino may not have perfect mobile slots, but they are probably working on it. Mobile slots allow you to play on the go even if you are having fun on the beach. Gaming providers such as Play’n GO and NetEnt have done a remarkable job in the mobile gaming industry. NetEnt launched mobile slots in 2011 starting with Touch slots such as Gonzo’s Quest and Jack Hammer. Today, the company produces high-quality mobile slots that load fast. Players can enjoy numerous features such as bonus games, Free Spins, and Expanding Wilds. You can also access Play’n GO mobile slots such as Tower Quest, Spin Party, and Cloud Quest on your tablet or phone. Also, modern online casinos and game developers ensure both mobile and desktop slots have the same features. You can now win huge prizes on your mobile device. Whoever is skeptical is probably not aware of NetEnt’s big wins. 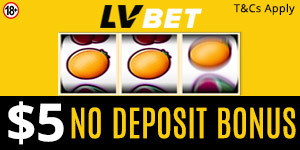 In 2015, one lucky player from Sweden won £4.4M while playing Mega Fortune at LeoVegas Casino. You should try some online slots because they are both convenient and safe. Most slot developers provide mobile slots and it’s possible to scoop huge jackpots.